From slave revolts on the West African coast to national conventions and civil war, people of African descent have defined freedom and struggle in terms of kinship, diasporic connection, and fighting antiblack violence. This course explores the arc of that history and its role in the making of America. A freshman seminar introducing students to the history of health, healing, and forms of medical practice in Africa over the last two centuries. This course surveys post-2000 literary and cultural production from sub-Saharan Africa. Topics will include debates over genre and fiction’s relevance to African experience, legacies of canonical writing about independence, urban Africa as violent or “tragic” landscape, and problems of scale and geographical context. Readings by authors such as Adichie, Wainaina, Duiker, and Vladislavic, and students will be introduced to the main print and online arteries of African intellectual discussion. This class is for non-majors and does not count towards the English major or minor. This course will introduce students to a variety of works written by black women of the Diaspora with a focus on the U.S. We will consider how women have theorized power, engaged history, and creatively imagined both the past and the present. Over the past few years films such as Black Panther, Get Out, and Black KKKlansman have been both critical and economic successes, significantly changing how we think of “black films” as a genre. What do these films tell us about what it means to be black at this specific moment in time? How is what these films tell us shaped by how they are produced? How do the circulation of concepts like “Wakanda Forever!” shape political imaginations? When we watch these films how are our own ideas change? As a particularly powerful form of popular culture, film not only entertains, but it educates, and in some instances propagandizes. This is no less true of black films than it is of non-black ones. In this class we will examine a range of recent popular black films with an eye to examining the politics of their production, circulation, and consumption. This course investigates core questions of what constitutes political freedom, what limits on freedom (if any) should be imposed by authority, and the relationship between freedom, responsibility and political judgment. Spanning texts ancient, modern and contemporary, we shall investigate how power inhabits and invigorates practices of freedom and consent. Among the questions we will consider: Can we always tell the difference between consent and coercion? Are morality and freedom incompatible? Is freedom from the past possible? By wrestling with slavery (freedom’s opposite) we will confront the terrifying possibility that slavery can be both embodied and psychic. If our minds can be held captive by power, can we ever be certain that we are truly free? The political stakes of these problems will be brought to light through a consideration of issues of religion, gender, sexuality, civil liberties, class and race. This course will survey African American Literature from the 19th century to the late 20th century. We will turn to prose, poetry, and drama to explore the various ways black writes have engaged U.S. culture, history, and politics. The study of race has in recent years taken a global turn, such that nationally-inscribed struggles over racism have been increasingly re-narrated as part of struggles over global order. In this class we will use the Rastafari faith to examine the challenges that this global turn presents to the study of race. Gestated in the 1930s Caribbean, drawing upon a long tradition of North American Ethiopianism, and rising to global prominence by the 1980s, the Rastafrai faith connects all corners of the Black world and far beyond. As such, an examination of Rastafari can tell us much about the prospects of - and difficulties in – overturning racism as a global ordering principle. Open to Seniors Only. This course analyzes the distinctive US welfare state in historical and comparative perspective. We begin with a survey of the policy context, an historical overview from the poorhouses through the Great Society, and a tour of welfare states across the rich democracies. We then survey developments – and explain the actual workings of policy – across jobs, education, welfare, pensions, and health care. We explore the institutional and political factors behind their divergent trajectories through conservative revival and the age of Obama. Students will write a seminar paper exploring policy development over time in a program or area of their choosing. Enrollment restricted to Social Policy minors only. This course explores how time, and not just space, is segregated along racial lines. 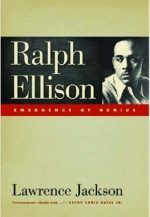 We shall examine how racial injustices are experienced as impositions on human time, how resistance to racial inequality has often been figured in temporal terms, and what it means to think in untimely ways that challenge how the extended lifespans of racially dominant groups is contingent upon the foreshortened lifetimes of racial others. Readings will bring political theory into contact with contemporary experiences of race, such as: criminal (in)justice, environmental racism and the proliferation of human disposability. Recommended Course Background: One Political Theory course. This course explores how American Muslims navigate and contest complex notions of belonging in the context of national conversations on race, gender, citizenship, and national security. With a focus on specific case studies that range from Black Muslim movements of the early twentieth century to the ongoing War on Terror, the course will add complexity to the public conversation on what it means to be Muslim - and what it means to be American. The course will draw on history, ethnography, first-person narratives, films, blogs, documentaries and fiction. This course will introduce students to a range of software programs that are critical for conducting social scientific research in the 21st century. Students will develop competency in the use of computer programs for statistical analysis, database management, the creation of maps and timelines, and the presentation of research reports. The course uses examples from ongoing social science faculty research projects at Johns Hopkins on global inequality and international development. Required for GSCD track students. Course previously titled "Research Tools and Technologies for the Social Sciences"
An introduction to Urban Health with Baltimore as a case study: wellbeing, nutrition, education, violence and city-wide geographic variation. Lectures by JH Faculty, local government/service providers and advocates. This course uses the city of Baltimore as a lens through which to explore issues of urban inequality. We will focus on Baltimore's history of racial segregation and concentrated poverty, and its effect on the social and economic well-being of the city and its residents, with attention to education, employment, health and crime. Students will learn how to employ Census data, GIS approaches, and sociological research to inform questions about population change, inequality and the distribution of resources across the city and metropolitan region. Students will also work on one or more policy relevant studies based in Baltimore, including: a project on abandoned and vacant housing, a desegregation intervention, and a longitudinal study of inner city youth. Finally, students will become familiar with Baltimore City's programs and policy approaches to addressing the city's most pressing problems, and will design innovative and effective and innovative solutions as part of their course assignments. Enrollment restricted to Social Policy minors only. Course description: (modified slightly) This introductory course will examine policing and prisons in the United States and beyond, with a focus on racial inequality. It will consist of three parts. First, we will define key concepts in police and prison studies. Then, we will explore the contemporary state of prisons and policing in the United States and look at debates around the rise of “mass incarceration” and aggressive forms of policing in the final third of the 20th century. Third, we will explore policing and prison in other parts of the globe in the contemporary moment, highlighting similarities and differences from the U.S. case. What can studying the instruments of social control in other societies reveal about our own? Students will develop an understanding of major trends, keywords, and debates in the literature on policing and prisons, with particular reference to race and racism. This is the gateway class to the study of African American life, culture, politics and history in the United States and the Caribbean. African American Studies is a multi-disciplinary field of study that includes history, social sciences, literature and the arts. This academic discipline is often taught under parallel terms emphasizing related geographies and identifying concepts: Black Studies, Afro-American Studies, Africana Studies, Pan-African Studies and African Diaspora Studies. Unlike every other modern academic discipline in the college, African American Studies was founded because of a social and political revolution. The class has two purposes, operating in tandem: (1) provide students with a generous historical, political and cultural overview of the lives of African descendants in the western hemisphere, but principally in North America; (2) explicitly address the problem of regularized systemic inequality in American society as a response to and an attempt to dominate a core nugget of identity difference that is the operative mechanism in black protest, resistance and revolt. This is a difference that includes, but is not limited by or reducible to morphology, culture, history, and ontology. We accept as an operating principle that an inquiry into an enslaved group of nonwestern human beings marked by difference cannot rely solely on the western episteme for its excavation. Thus, we will examine a body of diverse evidence during the semester, works of literature, history, sociology, political science, music and film. The course requirements include essays, examinations, and presentations. In this course, we will read literary and historical texts that present visions of black utopia. Authors include “Ethiop” (William J. Wilson), Marcus Garvey, Octavia Butler, Toni Morrison, and others. The course invites students to mine the archival, literary and cultural collections of the university for materials that reflect African-American experiences and stage campus interventions based on their findings. Participates in the Housing Our Story: Archival Justice for Black Baltimore project. M&S Practicum.. This course surveys key writings within African-American political thought, a rich tradition that transforms the way one understands essential aspects of political science, like citizenship, nationalism, social movement strategy, democracy, state violence, and political economy. It begins with abolitionism and extends to the present day Black Lives Matter movement. The focus will be on primary texts, and classes will offer historical context. No prior knowledge in political theory needed. Using their recorded speeches, written lectures and published writings and drawing from their biographies, this course will explore the important life work of Malcolm X and Martin Luther King Jr. We intend to upend traditional conversations about political radicalism and ethnic politics by analyzing these spokesmen associated most indelibly with black nationalism and racial integration, respectively. A history of forced and voluntary migration and displacement in Africa, its causes and consequences, with a focus on refugees and labor migrants since 1960. An introduction to African history with emphasis on diversity, mobility, and innovation. Considers both early and modern times. Introduction to the grammar and writing system of the classical language of the Egyptian Middle Kingdom (ca. 2055-1650 B.C.). In the second semester, literary texts and royal inscriptions will be read. Course meets with AS.133.600. This course focuses on the economics of poverty and inequality. It covers the measurement of poverty and inequality, facts and trends over time, the causes of poverty and inequality with a focus on those related to earnings and the labor market, and public policy toward poverty and inequality, covering both taxation and government expenditure and programs. By the nature of the material, the course is fairly statistical and quantitative. Students should have an intermediate understanding of microeconomic concepts. Basic knowledge of regression analysis is also helpful. This is an archival, original research course using the tools of microhistory and biography to etch a 1920s social history of the city centered on two corridors, East Baltimore’s Dallas Street and West Baltimore’s Pennsylvania Avenue. Our evidence consists primarily of block-level maps, the census, newspaper articles, property records and city directories. Permission of instructor strongly recommended. This course introduces students to the interdisciplinary field of African American Studies, with attention to the literature, film, culture, history, and politics of black life in the United States. 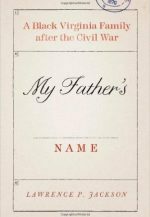 Our reading list will likely include texts by David Walker, Frederick Douglass, Frances E.W. Harper, W.E.B. Du Bois, James Baldwin, Amiri Baraka, Toni Morrison, and others. After examining alternative explanations for why individuals obtain different amounts and types of educational training, the course focuses on how an individual’s family background and race affect his or her trajectory through the educational system. The course covers the specific challenges that have confronted urban schooling in America since the 1960s, including the classic literature on the effects of school and community resources on student achievement as well as the development and later evaluation of school desegregation policies. The course also considers case studies of current policy debates in the US, such as housing segregation and school resegregation, voucher programs for school choice, and the motivation for and consequences of the establishment of state-mandated testing requirements. Throughout the course, emphasis is placed upon the alternative modes of inquiry and writing which opposing scholars, policymakers, and journalists use to address these contentious topics. This course will introduce students to the application of statistical techniques commonly used in sociological analysis. Topics include measures of central tendency and dispersion, probability theory, confidence intervals, chi-square, anova, and regression analysis. Hands-on computer experience with statistical software and analysis of data from various fields of social research. Special Note: Required for IS GSCD track students. Across the 20th century, mainstream and avant-garde French culture was deeply impacted by the presence of African American musicians and performing artists hailing from the jazz tradition. From the Josephine Baker craze of the 1920s to the second post-war which welcomed the innovations of bebop and sixties-era free improvisation, metropolitan France proved a space where expatriate and exiled African Americans could both perpetuate the tradition and innovate by turns. At the same time, French taste-makers, critics, and musicians eager to adopt new forms and styles debated the extent to which American jazz music in its various strains could be made French. This course in transcultural French studies will feature readings in music criticism, history, and literature, as well as frequent close listening. It will culminate in an international symposium (to be held Nov. 15 and 16; attendance mandatory) uniting noted scholars and legendary jazz musicians. Although some background in French language and basic musical notation is desirable (students are encouraged to engage in original-source research), all core course readings will be provided in English. This course will examine policing and prisons in the United States and beyond, with a focus on racial inequality. It will consist of two parts. First, we will explore the contemporary state of prisons and policing in the United States and look at debates around the rise of “mass incarceration” and aggressive forms of policing in the final third of the 20th century. Second, we will explore policing and prison in other parts of the globe in the contemporary moment, highlighting similarities and differences from the U.S. case. What can studying the instruments of social control in other societies reveal about our own? Students will develop an understanding of major trends, keywords, and debates in the literature on policing and prisons, with particular reference to race and racism. This course will examine film and literary narratives of “passing” in 20th century America. We will study texts that feature people who cross social boundaries of race, class, sexuality, and gender, and consider what “passing” reveals about American social mobility.